3. Camera resolution is 1080P. If connect to 720P DVR or 960H DVRS, it won't work. 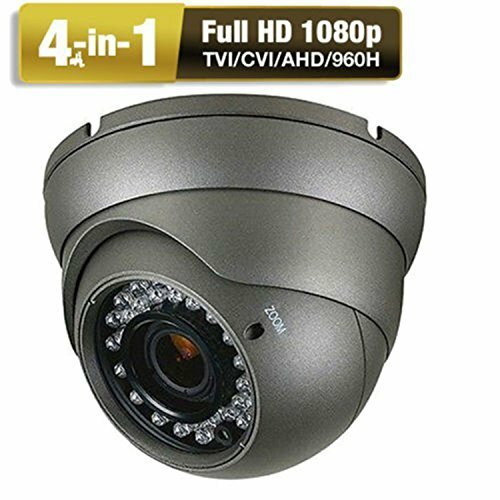 The CCTV camera has OSD Menu that can change the 4 different video output 1080P TVI, 1080P AHD, 1080P CVI and CVBS (960H) and adjust the video setting.. Compatible - 1080P TVI DVR,HD CVI DVR, AHD DVR, and 960H (D1.700TVL, 800TVL)DVR. If you have any questions about this product by Amtronics, contact us by completing and submitting the form below. If you are looking for a specif part number, please include it with your message.